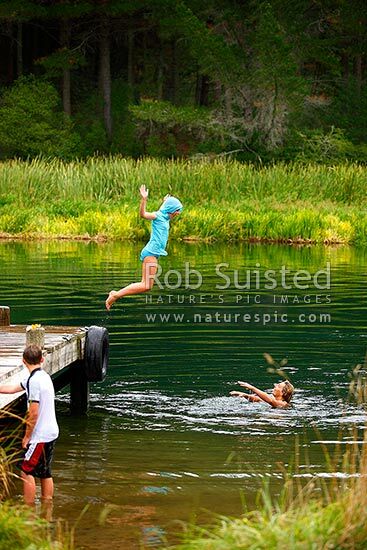 Family enjoying swimming, jumping and diving from jetty on the Waikato River. I can fly! Summertime, Mihi, Rotorua, Rotorua District, Bay of Plenty Region, New Zealand (NZ), stock photo.